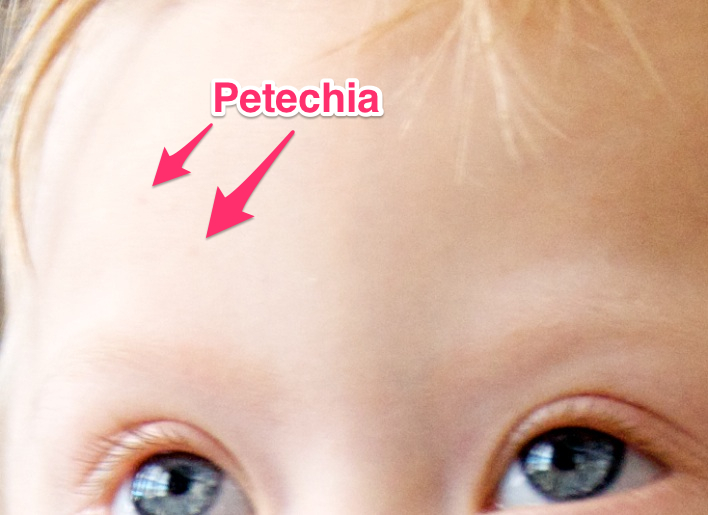 You are here: Home / Parenting / I Hate Petechia. Don’t let the smile fool you…there’s some petechiae going on! Remember that sweet little picture at the top of this post? At first glance it looks like everything is all good hair, blue eyes and straw cups…but if you look a little closer you’ll see…. Google Isn’t Your Friend (Or Your Pediatrician) When It Comes To Stuff Like This. Although petechia can be a symptom of leukemia (which you will think your child has if use Google) that’s not the typical reason kids get it, especially if it’s not accompanied by other symptoms, like bleeding. DO NOT USE GOOGLE TO TRY TO DIAGNOSIS YOUR CHILD WITH ANYTHING. EVER! Trust Truth (Often Given By Your Pediatrician)…Not Google. The truth of the matter is Noah has a virus this weekend and children can get petechia when they are sick and running a fever….and especially when they are vomiting (and Noah’s doing all three of those things.) If a typical child had petechia I wouldn’t even worry about it, it’s not a big deal, and I really shouldn’t let things like that bother me. To be honest I get less and less worried each time Noah has petechia. Especially after the time it spread from his head to his toes in a matter of hours….and he ended up being fine. It was just a typical reaction to the virus he had. If he didn’t have cancer after all of that, I’m “ok-er” with a few dots here and there! He’s a toddler, and toddlers get sick. And sick toddlers sometimes get petechia. It’s all good. That’s truth. And truth always trumps google. 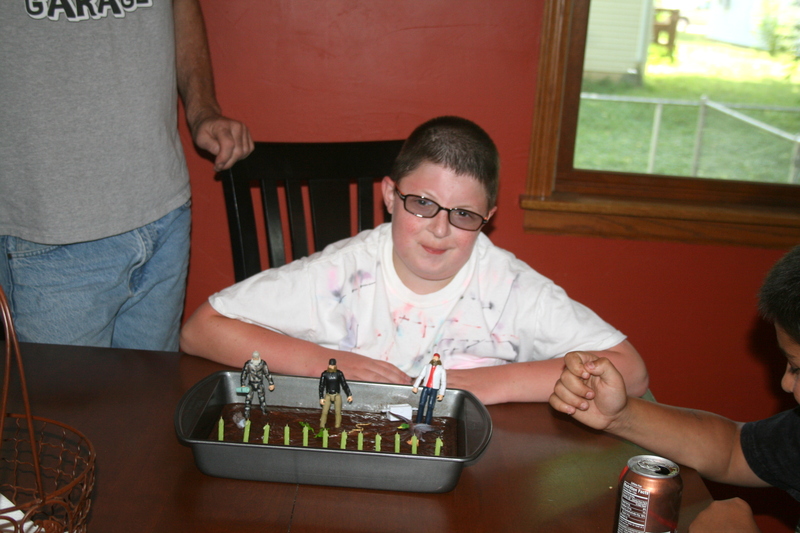 I hate how it reminds me that that extra 21st chromosome Noah has does bring with it some real challenges. I wish he wasn’t at a higher risk for developing leukemia. I wish every time I saw one of those dots on him my heart didn’t freeze. I hate how I let stuff like that take away some of my joy and replace it with fear. But as I’ve said before, fear doesn’t win in this house. And so when fear starts to win I remember that there is a God who is in control. Who loves me. Who loves Noah. And Who holds the whole world in His hand. And so while I may worry, He doesn’t. He knows what He’s doing, and He can be trusted no matter what happens; cancer, or no cancer. What causes you unnecessary worry when it comes to your children and what do you do when feel worry and anxiety start to creep into your mind? Also have you ever been guilty of using Google to diagnosis a medical concern? (I sure am.) If so, has anything good ever come out of it? Leave a comment below and tell us about it. It has a name! My son gets this across his nose like freckles if he cries hard or if he strains. When he had an ear infection a couple of weeks ago he got them from crying and his doctor had us have his blood drawn. I have had it happen to me before too I never knew it could mean anything bad! Yelp, crying hard and straining can cause petechia. Have you ever asked your pediatrician about it? No, I just pointed it out when I took him in for the ear infection. His blood work came back normal though. I didn’t even think it meant anything. It has happened to me before, it makes sense, crying hard, or in my case throwing up or giving birth, burst blood vessels in your face! I will be sure to discuss it with his pediatrician at his next appointment! Gotha! What an adorable little guy you have! Thanks for sharing his picture! Jennifer Britt, This pic of your son reminded me soooo much of my son, Griffin. Adorable!! I get those too 😀 // don’t worry Rick!!! he is going to be super. Just take care of the little guy. is not any blood test that can help? Anyway petechia can have different reasons, is not always leukemia. KISSES AND HUGS! keep calm Rick!!! PS: I forget too that my little guy (13 months old) has Down syndrome lol. Yes, there is a CBC test like I mentioned in the post. But they always come back negative. Thanks for the kind words! 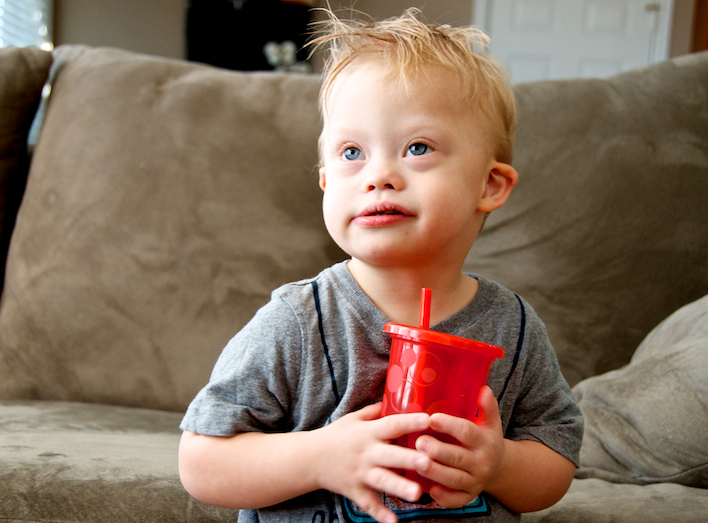 Does your little boy with Down syndrome have any brothers or sisters? No, not yet. But he has an uncle who is 12 years old (MATI). OMG he loves him, BOTH LOVE EACHOTHER and sometimes when i go to pick up my brother from school all the school stop there to see Vincent. i think i will send Vin to that school, they have two kids with down syndrome, one in primary and the other in kindergarden. So he is like his brother two. 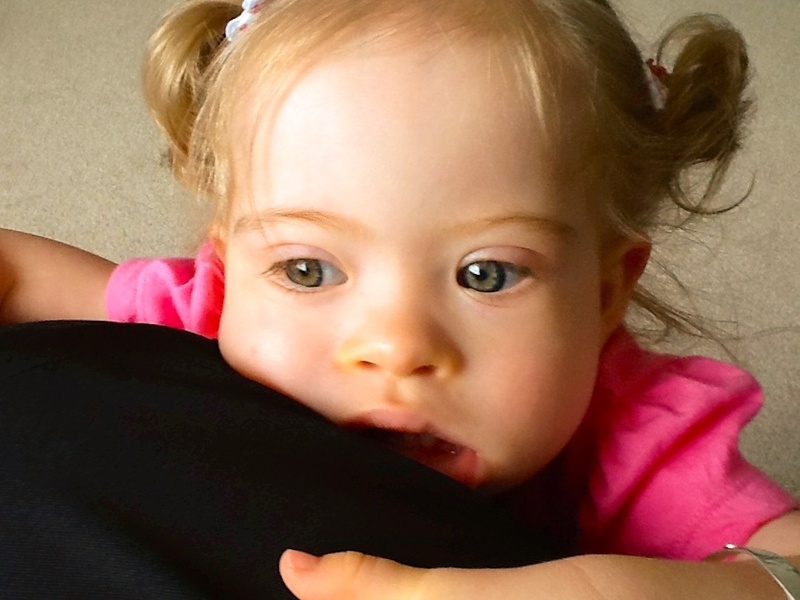 Have you ever thought how to tell his future brother or sister (of course more in the future) how to tell her/him about Down syndrome? I remember when i went to the down syndrome foundation here in Argentina, a father told me about his son and that he told his daughter that her brother has down syndrome when she was 8 years old, because that was a good age to tell her and that she will understand better. And that made me thought i should tell my brother Mati about it. What is going to be very difficult for me i think is telling Vincent what is Down syndrome and that he has Down syndrome, when do u think is the best (age) to tell a son or daughter about their condition? well greetings!!! I agree fully. It is not a secret that you keep. It is just part of life. 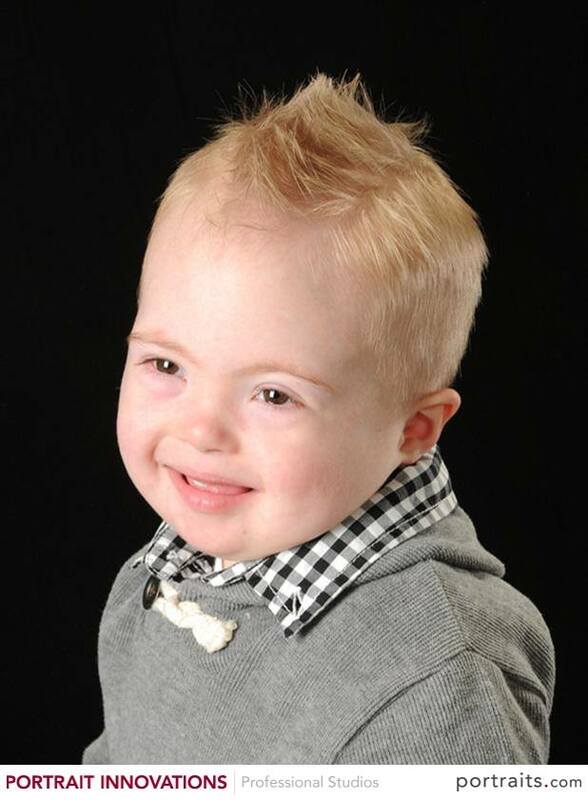 I just had a little boy with Down Syndrome 3 weeks ago. I also have a 5 year old. We have not yet told him that his brother has DS & are not sure whether to do so at this point or wait until he is older. Any thoughts or experiences with this? Thanks! Amen. 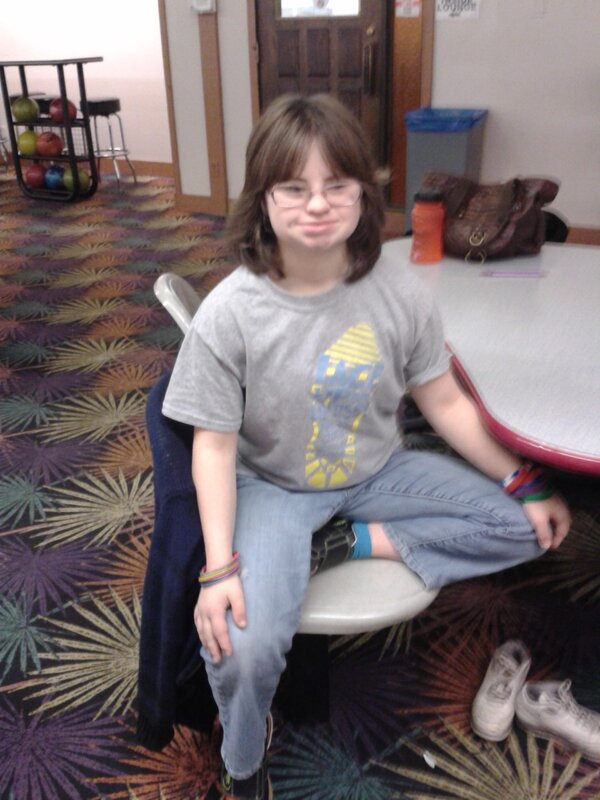 Down syndrome is just one thing about my children, not who they are. My daughter, The Boys older sister by 3 years, has always known because it was just a regular part of our world. The Boys have always heard it and so they know it as part of who they are. No Big Deal! Well, thanks, I would’ve just thought she had little red dots on her head. : ) I remember when my Ada was first born and I read all these books about DS and I freaked out about all the things that could go wrong. I decided to stop reading and just enjoy her. I know that others have to deal with much harder things in relation to DS and I am grateful for the health Ada has had. We take Ada to her regular check ups so I just pray that if something were wrong that we’d figure it out but not to stress in the mean time. What a great way to live life! I’ve learned the most of the things I worry about don’t come true anyway. I even wrote about a few of them. 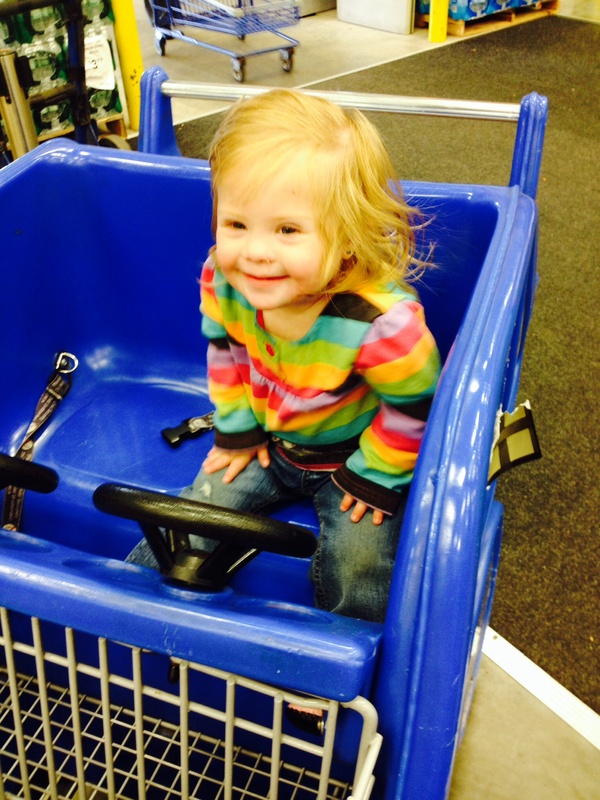 Thanks for sharing the picture of your little girl…she is ADORABLE!! How old is she and where are you guys from? Awesome! Be sure to keep us posted on your story! Hi Ann! My son will be 2 on Halloween! We too live in MI right by metro airport! Are you part of any groups in the area? I know what you mean. Juju’s sister gets mouth sores whenever she gets sick. Juju had a low WBC count and I freaked out, knowing the connection b/t DS & leukemia. Thankfully, follow up bloodwork showed the WBC heading back up towards normal. Glad everything is ok! Does JuJu have any brothers or sister’s? I saw petechia on my daughters stomach at age 13 months . Pointed out to my pediatrician and he seemed not too concern . My gut feeling “mothers intuition” was telling me otherwise . the petechia didn’t go away and in fact it started appearing all over her body . Six weeks later , I took my baby back to the same doctor and demanded a CBC . Test came back with her platelet counts being at 22,000 ( normal is 150,000-400,000) . She was admitted to our children’s hospital and more tests were run and my 15 month old was diagnosed with Acute Myeloid Leukemia on March 15th 2013. She finished her last round (4) of chemotherapy on July 13th and is in remission , thank The Lord. She will have a bone marrow biopsy next month to make sure the cancer has not returned. She will have a bone marrow biopsy once every 3 months for the 1st year post chemotherapy . Kate’s Corner- Leukemia Journey is her Facebook page if anyone would like to read and follow Kate’s journey with Leukemia . Petechia may not always mean cancer but I believe a mothers intuition is stronger than any doctor diagnosis . We are our child’s best advocate ! I love this!! Thanks so much for sharing. Your little girl is adorable! Love this picture of Kate, Tisha! :) So blessed to have you guys as friends and to know sweet Kate! That is so true! And a good doctor knows that. I have been parenting across 3 decades now and we have 9 kids so our pediatrician never questions when I call. But 22 years ago when our first was a newborn I knew he was the doctor for us when my daughter just seemed out of sorts. I called him up feeling funny that he would think I was overreacting because I couldn’t even name a symptom. She just didn’t seem like the baby I had come to know in the month since her birth. He didn’t think I wasting his time at all. In fact he said, well, if you feel something isn’t right then we had better take a look at her because mother’s know these things. We took her in and in an hour she was admitted to the hospital in kidney failure. He is retired now. I miss Dr. P!!! Our KK is now a wonderful young woman helping her baby brother with Ds to get big and strong and working hard everyday to change the face of Ds. Hi, my daughter gets those all the time. She has DS and had Leukemia when she was 2. Even though I know she shouldn’t get it again, every time I see petechia on her, I get nervous at times. I never want to go through that again with her. It is amazing the feelings a few small spots can produce in a person. Thankfully she is 17 yrs old now and her health is so much better now than it was when she was young. I have actually used the internet to diagnose and treat a lot of things in our big family. It has saved us from so many doctor visits. Of course, if things didn’t get better right away I’d go to the doctor (actually, she comes to us :). We use natural remedies, mostly essential oils. Our ped. is totally supportive, even when we were dealing with croup. She encouraged us to keep up the oils for a couple days. I’m so thankful for her! I sometimes fear being forced by a pediatrician to do something against what I think is best for my child. We are losing our parental rights! When something scares me I go right to the God who knit my little Max together. What freaked me out once though was when Max (18 mos) kinda looked up and crossed his eyes like he was looking at something right in front of him for just a second. He did it a couple times but I decided he was kinda being silly. He was blabbing and playing and just kept playing. I hadn’t put his oils on him that day so I went and got them. We put Frankinsence and another blend called Valor on him everyday for the past 4 mos. Wow! What a difference that has made in how active and motivated he is. He had an eye that was acting kinda lazy (he may have gotten boric acid ant stuff in it 🙁 ) and the oils fixed that! Another blend called Digize has really helped him poop everyday (in the potty!!!). The frankinsense is used to prevent and treat cancer but it does much more for him. Another friend has a 6 yo with DS and uses Melissa oil. Her therapists have said not to stop the oil because they see a huge difference and are telling other parents about it. For 2 mos she was only SMELLING the empty bottle someone gave them and it was making a huge dif. Now she’s actually applying the oil. We use Young Living oils and Native American Nutritionals oils. I thank God for using these oils to keep us healthy. Don’t use cheap oils. Sorry, didn’t mean to go on and on! Hehe 🙂 Hope this helps someone! You mentioned when something is wrong with your child you like to go straight to the One who created them in the womb, and I agree. I find that when I do I’m reminded of all the great resources that God has given us to help our children get well. Modern medicine is amazing, and I often thank the Lord that my family is living in a time such as this. Not to long ago kids with heart problems (like so many kids born with Down syndrome) had lots of complications, and didn’t live nearly as long as they do today. I personally know several kids with Down syndrome that have had major open heart surgeries and if you met them you wouldn’t even believe they had heart surgery! I praise God for that sort of technology, and for medical professionals that know how to use it. No oil could do the work of a trained heart surgeon. I’m aware aware that using oils is becoming more popular, and I’m not anti-oil by any means (though I’ve never used them), but I think the key is making sure you are partnering with your pediatrician, which it sounds like you are. Natural remedies can be helpful, but I’m sure you’d agree that there are often things going on that require more than a natural remedy, like heart surgery. You mentioned that we are “loosing our parental rights.” I’m not sure what you mean by that. Who is taking your rights away from you? A Doctor can’t take away any of your rights, nor can they force you to do anything against your will. What makes you think that they can? Thanks for your comments, I always enjoy learning from other parents. You sound like a very caring and loving parent! Yes, I agree that we need a pediatrician too and I’m very thankful for mine who totally respects our parental rights. Not all do. Please, please go to parentalrights.org to learn more about how those rights are being eroded in this country. Also, you can learn about the Convention on the Rights of Persons with Disabilities and why they oppose it. Thanks for sharing. I understand the concern, but it’s a tough line. I believe the government should protect children, especially from parents that are causing them harm. Who do you deal with that tension? I think this type of “parenting” should be illegal (and in mists states it is) as this is likely going to cause that child a lot of harm down the line, not to mention likely being at a kid reading and writing level when he/she becomes an adult. Do you think the government should step in and help this child from a parent irresponsibly hurting their child? I do. There are to many bad parents out there and lots of kids in need of protection. Hi, I love reading all your comments and I love seeing your pictures of your DS children. I am a mother of 9 children 7 are my own and I have 2 step sons, my 6 older children are all girls and my 7 is MY ONLY son, he is 9 months old and I knew from the beginning of my pregnancy that he was DS and had a heart condition, he had a rough 6 month until he had his surgery, and he is now a healthy little boy with DS, unfortunately when I first had him I knew very little about DS and am learning as I go, I am learning by reading all your comments and stories, and learning what Bruce wants, my Bruce is a very special boy, and not just because he is my ONLY son, but because he is DS, personally I believer that God only gives us what he knows we can handle, and (I have spent many days away from my family) to be with Bruce in the hospital. In his first 6 months because I needed to be with him, I was however allowed to travel home for a short time to help settle any issues that could be happen at home without me. Raising a large blended family is far more difficult than raising a DS boy, Bruce is a excellent boy, he is eating solid food, and prefers that over his bottle, he still takes his bottle but its only for a drink or for sleep. Bruce has 2 older full sister and 6 half brothers and sisters so he gets a lot of attention and Love, here is a picture of my beautiful son (Bruce) and his oldest full sister Vienna spending quality time together, oh and he just love her. As a pediatrician who actively writes, I do agree that you can get medical information (even sometimes good medical information) from the internet but there are dangerous pitfalls you need to look out for. Secondly, I think Rick’s main point is that before you get completely freaked out about something you find on google, go and talk with you doctor about it. If you trust your doctor and they have the time and ability to explain things to you it should trump anything you could find on the internet anyway. I agree that we need to be extremely careful about protecting parent’s rights and their right to make medical decisions for their children. I try to support my families in their decision making process in any way I can. This includes some very in depth discussions about all kinds of various topics and weighing both the risks and benefits of particular treatments. I believe it is my duty as a physician to be honest with my patients about what studies have shown regarding treatments (particulalarly more “naturalistic” ones as they commonly have less studies and evidence behind their use). As with any treatment, particular patients may see good or bad results with any treatment and I want my parents to be fully prepared for both good and bad outcomes. One thing we certainly will agree on is that we should turn to God for every big or “little” thing that comes our way. Unfortunately, there has been a trend I’ve noticed in medicine that has caused a divide between “conventional medicine” and more naturalistic/wholistic doctors/patients that is harmful to the Church. When I prescribe amoxicillin for an ear infection, I am aware that God have someone the revelation to know that the mold growing in their Petri dish might help someone to fight off illness and wether it’s through the prayer of the parent or the amoxicillin, God ultimately is the only Healer of ear infections or any other illness. Justin may I ask where you practice? I agree that going on line can be useful. I tell my patients to go to reputable sites like WebMD or Mayo Clinic. Otherwise they show up panicked and full of crazy self diagnosis. I don’t deal with kids so it is a little easier. But I even used some online sites to finally figure out that I’m gluten intolerant (& found out about cross reactions to oats). My current GI agrees with my assessment. The difference is that as a Midwife / NP, I have the education needed to sort through the data. Many people don’t and can even delay proper treatment as a result. By the way, my grandson has DS and petechia issues related to low plateletts. I hate Petichiae too, in the case with our daughter Emily who has DS it did turn out to be leukemia. She went through treatment like a champ and is doing great now, but whenever I see anything that remotely looks like a little red dot I go into panic mode. I totally agree you shouldn’t use google, I had a feeling when I saw them and they stuck around for a while that we were headed for leukemia. So glad to hear your daughter is doing great! Thanks for sharing! Ellie tends to get a lot of pressure-point petechaie from things like tourniquets, seat belts, and even the elastic bands of her pants. When she randomly gets them, I tend to freak out. You are correct in not googling. Google petechaie and you get cancer. Add in fever and petechaie and again cancer. Scary stuff. If Ellie gets a lot of petechaie for no reason, then we head in for a CBC for piece of mind. Same with Noah! And I totally get the “head in for a CBC for piece of mind” comment. Abbie is always pretty calm about this stuff, but I get worried, and you don’t know how many times my sweet wife will say “Rick, if you’d like we can call Tanna (our pediatrician) and have her set up a CBC if it’ll make you feel better. To which I say, “Wait, are you saying you think there’s a reason we need to get a CBC?” (and this after I’ve asked about 20 times if “she thinks Noah has Leukemia.” LOl…. My son had very low blood platelets at birth (he actually required two transfusions) and was covered with these red dots for the first six months of his life. Like, Noah, my son has fair skin and even a drawn out temper tantrum (usually from being held down at the doctor) causes him to get petechia. Still, even knowing the cause, when it gets bad I ultimately bring him in for a CBC. Like you said, they are always good. Glad to know I’m not the only one to occasionally get overly worried about this common occurrence. Hope Noah gets well soon! Watching your kid be sick is the worst! Thankfully it’s just a common virus. P.S. Here’s my Logan. I think he is about the same age as Noah. He loves your blog as much as I do! You hate them, and I love them! Those little red dots are what raised our son’s pediatrician’s suspicions. The next day he was diagnosed with leukemia. Two days later, chemo began. The oncologist thinks he may have only had leukemia for a couple of weeks when he was diagnosed. Those red dots led to the discovery! I went in for my 20 week sonogram and I had my husband and for other children with me. The tech did all of the normal measurements and we found out we were having a girl. The tech told me at the end that she was not able to get good pictures of my daughter’s heart. This was my 7 th pregnancy and I had watched her take the pictures of the heart. I thought something might be wrong but I tried not to think about it. I came back in 4 weeks and a senior tech did my sono I watched her take measurements of fluid around the heart. I have learned from having two miscarriages that the tech is really not suppose to tell or give any medical information so I wanted to ask the doctor what was going on. He came in and told me that there was fluid around the babies heart and asked me if I had ever been exposed to Parvo or Fifth’s disease. I told him I didn’t think so. They sounded like horrible diseases. After googling I found out they are pretty much like the common cold so I could have been exposed and not known. I asked the doctor if it could mean anything and he said he really didn’t know. I went home and Googled it. I found out it was called a pericardial enfussion and it could mean something. The number one thing was Down Syndrome. I read a little but it was disheartening to see that most women had chose to abort after more testing and the initial diagnoses of a pericardial enfussion. I quit reading and the next morning called my OB. I asked to see a perinatologist. They scheduled me for an fetal echocardiogram. There was fluid but nothing else showed up. I knew I’m my heart there was a good chance that my daughter would have DS. I told my pastor and a few good friends but I didn’t want people to think I was crazy. Especially if they knew I had googled it. I chose not to do any further testing. They were watching her heart and that was all that mattered. The moment Amelia was born I knew I was right. I saw her beautiful almond shaped eyes and I knew. I am glad we did not have a diagnoses before she was born. 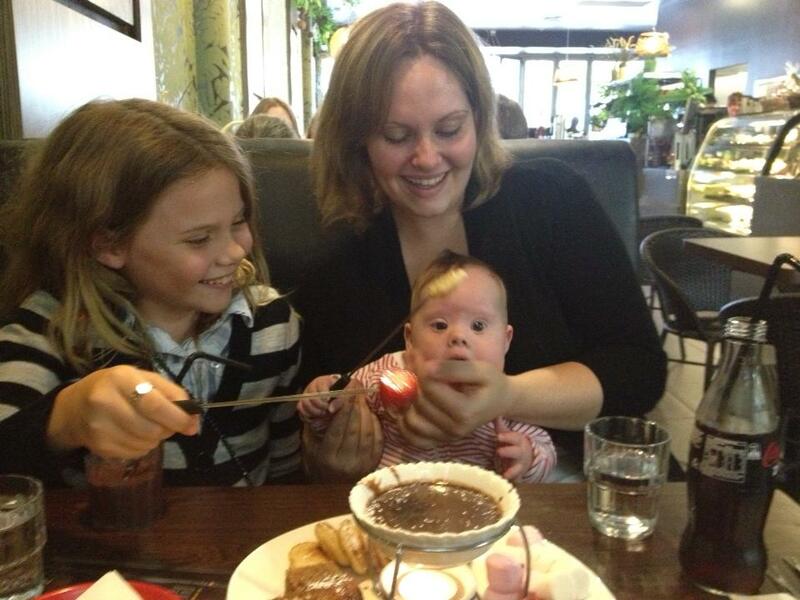 I had gestational diabetes and for the last two months of my pregnancy we were watched very closely. For two months she failed every NST we had. I would have been so worried for her had I known she has DS. God protected me from knowing more than I needed to and enough to help me be prepared. When people ask me if I knew my daughter would have DS I tell them no but in my heart I did. God knew exactly how to walk me through and He continues to guide me every step of the way. I am thankful for Google. I love blogs like this and hearing from other parents. I am also thankful for our local DSG. Sorry this is so long. When we had Anna I had to ban my husband from the internet. 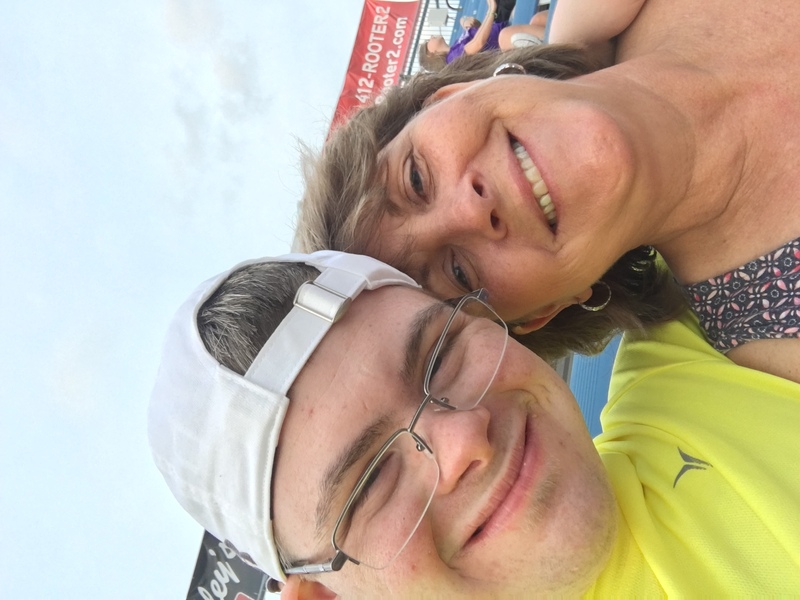 He just wanted to learn about Down syndrome and instead came across every negative thing there was. We decided early on we would just let Anna be who God intended her to be. It’s hard not to worry about our kids, but when I find my mind going down that path I remember what our pastor said. Worry is not of God. Your blog was one of the first I came across and it has been a huge blessing. Since Anna and Noah are about 6 months apart I felt like I had some insight. Thank you Rick for all you do and keeping it God centered. I appreciate all you do. We have a large adoptive family. 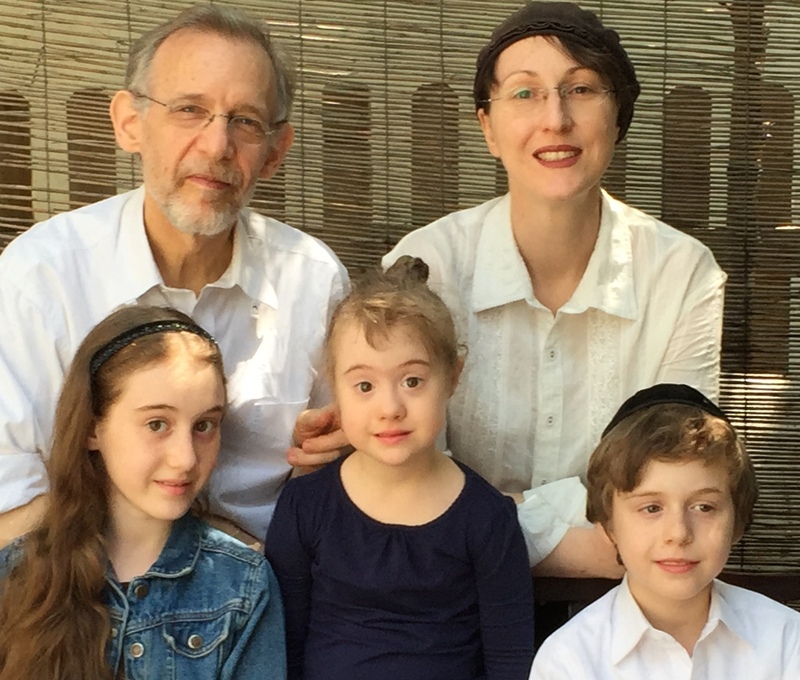 Seven of our children have DS. Our first DS child was adopted at birth. He got petechia in little batchs his first year. Of course my first thought and fear was cancer. Doctors were not concerned. At age 14 mos he got a LOT of petechia. When blood counts done his platelets were 8000 🙁 . Off to major children’s hospital. He was dx with ITP a platelet disorder. Pretty soon his red blood count and white cell blood count also were being affected. We were so sure he had cancer. His bone marrow did not show abnormal cells you would see with cancer. Then we started praying it was cancer rather than the alternitive. 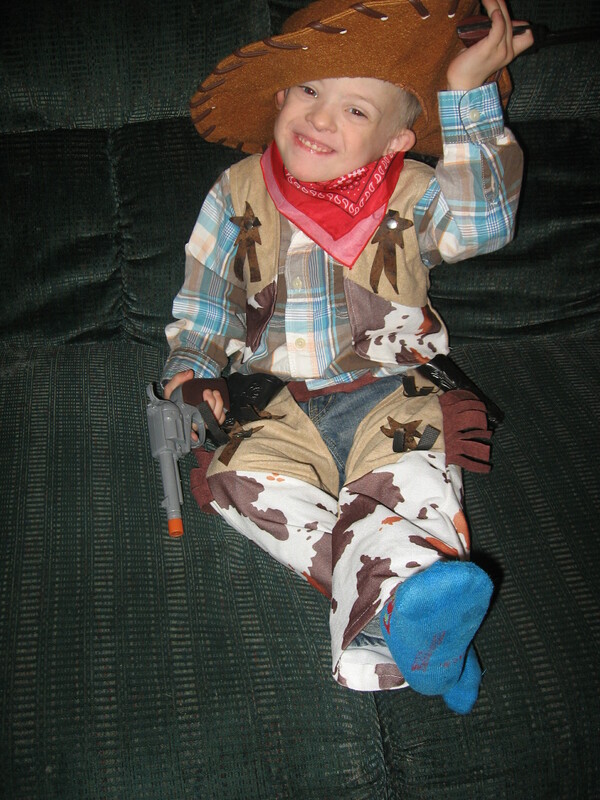 At 18 mos he was dx with Aplastic Anemia…total bone marrow failure. Not cancer, much more dangerous. We spent the next two years in hospitals as he was treated with steroids, and chemo (even though AA not cancer but rather autoimmune related, still treated by chemo) . He needed red blood transfusions about every week and platelets every few days and often several times a day. He had a bone marrow transplant at age 3 1/2 yrs. It started working and he began making white blood cells. But sadly he got a cold virus and died in PICU three weeks after transplant. Needless to say i am pretty paranoid about petechia in my other kids. I do have another DS child and a son who is cancer survivor (retino blastoma..eye cancer) who have platelet disorders that are not life threatening. Sometimes the platelets just dont work correctly and cause bleeding. We have many children with SNs (special needs) . I depend on google a lot, but do not live in fear. I do though trust my instincts and educate myself via internet on issues related to our children’s health issues. Our DS children can have such unusual reactions to things like virus, missing aa meal, etc… two of our DS kids for instance react to virus by getting VERY low body temp vs high temp. Blood sugar levels drop and they are dangerously ill. Then they are just fine. 🙂 Just par for the course with the blessing of an xtra chromosone. Mommy to many ages 2 to 36 yrs. Including those born in China, South Africa, Ethiopia, Vietnam and U. S.
My son at 8 months started having faint petechia. Our pedi said to keep an eye on if it started to get worse yell. But never said why. So yes I googled and saw it could be nothing to Leukemia. Well in January days before he turned one it flared up and started getting worse. He was trached and vented at the time so we were seeing his pulmo/neonatologist and I brought it up. She ordered at cbc stat. It came back at 38. Hem onc was called in and we had a bone marrow on Friday- which then became the longest weekend of my life. On Monday we got told some tests were saying Leukemia but all were not jiving and they used ll his marrow up trying to type it. We went back in 2 days later for another aspirate. They took extra to send to Boston, Toronto and John Hopkins to assist in typing and do his genome. Came back AML m-7. That Friday we were checking into the PICU for 6 months to do his chemo. After round one we got a remission but after round 2 we almost buried him. He developed Acute respitory Distress syndrome, accedes, sepsis etc. He was put on the oscillator vent and we all held on tight for the month he was on it. He coded to many times and yes we had the how far to go talk. We stayed inpatient for a month after he came off the oscillator vent. So after 2 rounds of chemo ( out of 6) we brought him home. We were told id it came back it was palliative care measures. His team and us decided not to put him through all the post testing. He sees 3/4 of the children’s hospital already. His pedi and team does CBC if his pedi shows itself. or every 6 months or so if not already done for something else. SO far they have always been in the normal range since. Buit, I like you have fear of GOD in my when I see them. AN I watch them like a haulk and pray they fade away and stay gone. We are 3 and a half years into a remission that is holding. Usually id you get a remission in a DS kid it holds. But every study I have read says based on finishing course or treatment and if you don’t it will come back. SO his team and us are all holding on too TRI 21 gene is prevailing in this!!! I forgot to say his first bone marrow aspirate he was 30% leukemic. Dartmouth talked to collogues and they said in some rare cares with DS kids it will sit and smolder before it takes off. Other wise with 4 months of us noticing he should have been 100% Leukemic. I’m so with you on this. 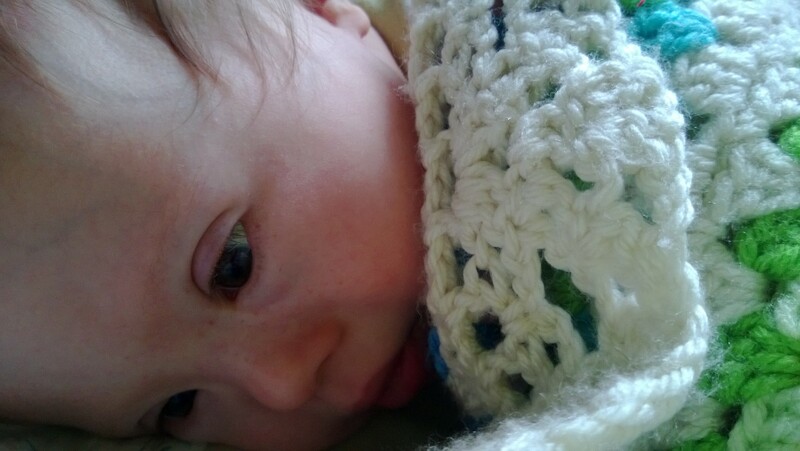 My son is suspected to have Mosaic Down Syndrome. It has not showed up in his blood but, with mosaicism, it can be just the skin cells or bone marrow or other cell lines that have the extra chromosome. We have opted not to have that testing unless something comes up that warrants it. Anyway, he was getting petechia a lot this past summer. He’s gotten them before but it was worse so we went to a hematologist at St. Jude for an evaluation. The doctor actually asked me if someone could have strangled him because his neck was so full of petechia. The blood work there showed no leukemic cells but there was a strange thing with is clotting that they did not have a name for. I have been thinking of getting a second opinion on it since there was no concrete answer but, they stopped appearing! The only thing I can attribute it to is that he started taking a special vitamin with mega amounts of various B vitamins in it at about that time. May be just a coincidence but they have stopped appearing and it makes me rest a little better. Sending peaceful thoughts to you and yours. Yikes, I’m glad to hear that your boy is doing well! By the way, you say your son is “suspected” to have Down syndrome. I’m not sure what you mean by that. 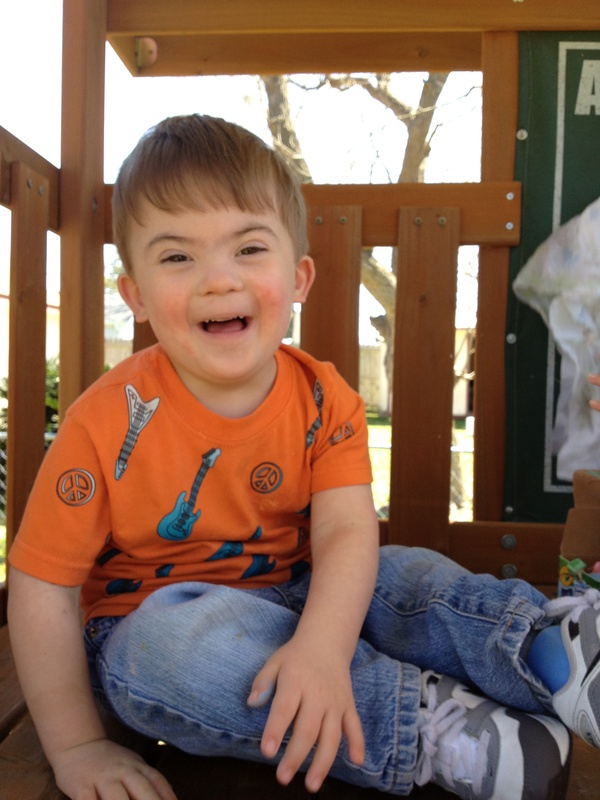 There are several types of Down syndrome, mosaic being one, all of which are detachable with a chromosome test. Has he not had one? 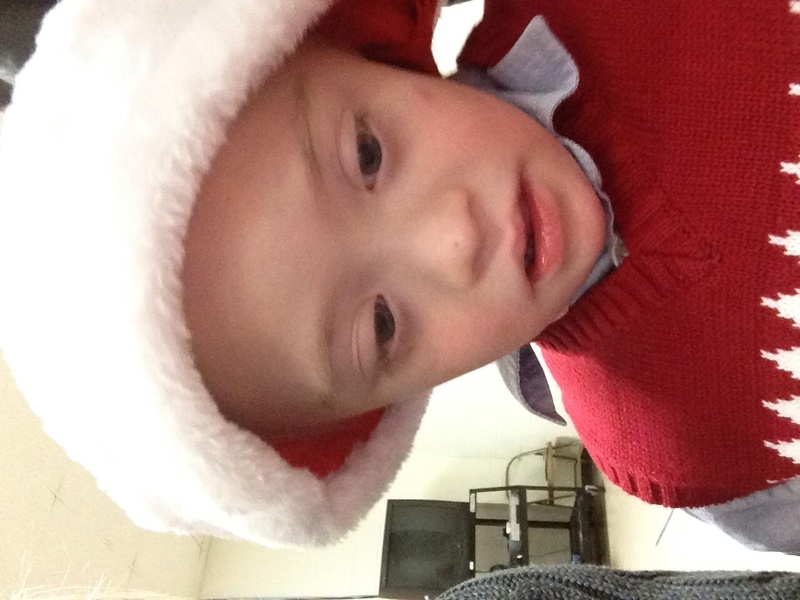 He has been tested but, Mosaic Down Syndrome sometimes will not show in the blood. It might only show in the skin cells or it might only show in the bone marrow. The body is made of many different ‘cell lines’ and the mosaicism can be found in any one of them without showing in another. I would be scared too. Thinking of Noah and will keep him in my prayers. I can totally understand how that would cause you to worry! That’s tough. I don’t diagnose my children via Internet, but after four children I have been 98% on target when I finally take them to the pediatrician. I know having typical kids isn’t the same, but I can understand. As far as myself, I have accurately diagnosed myself two times via Internet when doctors have dismissed me. I’m unusually attuned to my body. I deal with a few chronic illnesses. The one diagnosis saved my life. I hope Noah’s cold abates soon and everything is a-okay. Well wishes and thoughts coming that way. Thanks for the comment! Hope you and your family are doing well! My older daughter gets red spots that look like the start of chicken pox whenever she is sick/hot/stressed. It totally freaked me out the first time! It was the weekend so I was searching the internet for answers. Always a big mistake. I was also searching the internet the day after my younger daughter was born… She had a sacral dimple and I was taking her to a specialist the day after to get it checked to see if it was something serious. It was a nerve-wracking day, worrying about how serious it could possibly be. Not exactly how I wanted to spend my first day with my newborn! I hope Noah feels better soon! I can see why you hate petechia, I can imagine how it must make your heart jolt every time you see it!! I had Petchiae when I was a child. I don’t think that they ever figured out what caused it. I spent a few days in the hospital. I have had it occassionally as I have grown up but I guess it doesn’t mean the same thing for everyone. Hope you are finding answers to your questions. I don’t have children so I don’t experience this in relation to the kids, but boy, do I experience this kind of stuff in relation to myself on occasion. At 24, I have begun to experience hot flashes, and a basic Google search yesterday to see if my IUD could have those side effects led me to a story of “my IUD started menopause for me at age 23 and I’m forever damaged”. My initial reaction was “get it out!” but then I took a step back and said I need to call my doctor when they open in the morning. They’ll have a better idea than I will, even after extensive Googling. I’m Beverly from Philippines, I’ve been reading your blog and I find it very helpful and interesting. I have a baby with DS he is 7 months old now and he is doing good after the heart surgery. Thanks for sharing your stories, may the good Lord bless you and your family. I doubt you will be any less worried about your new baby. That is what parents do. I lost a grand-niece to cancer when she was 7 years old. She did not have Ds and never had any health issues until the cancer developed. My daughter is 26, does not have Ds and I pray and pray that she never develops any illness. My son is 2.5 and does have Ds. He is fortunate to enjoy stellar health, but I still pray and pray he doesn’t develop any illness. We can’t help but dread any sort of tragedy where our children are concerned. I just thought you might like to know that this is something you had better learn to live with, as it doesn’t seem to go away. Thank you for sharing your beautiful boy with us! He is so cool. Peticchii scare me too but seem most often to accompany coughs and viruses for Natty. They’re watched like a hawk though… all part of the background amber altertness we parent feel. LOL. I found out that a third of our kids will get the dreaded petechai. Who knew! Being an oncology RN, I was on the brink of just going over the edge with worry each time. Come to find out it is usually associated with fevers, and then I rested much easier. Also, I too have the Peace that passes all understanding! Boy, did I need the Almighty’s understanding and peace. Caleb is almost 15, 21 days and counting; but no more petechai. I have much bigger problems now! LOL. As the saying goes, bigger the kid, bigger the problem! Rick , My beautiful wee Granddaughter has DS she will be 3years old in March not far off Noah ‘ s age , and you have been an education to us .Gracelyn got a virus and was throwing up 2weeks ago .we brought her to the hospital and she was admitted because her blood sugars were dangerously low .She was put on a drip for two days and nights, and is only now getting back to her wonderful funny self .We as a family had never heard of petechia so thank you for all the information that you have given to us .God bless you , your wife and Noah and we pray for the wee one on the way.Have a peaceful healthy Christmas . Here is my beautiful Granddaughter. My “baby” still gets petechia at 26 … Years! He was a healthy and happy baby, no ear infections, no sinus infections, one tear duct infection and perhaps 10 colds, at the most, in his lifetime! He had one hideous winter with severe respiratory issues. He has had perhaps five or so episodes of vomiting. When he feels stressed he does not physically dig his heals in, or makes fists, all that anxiety goes straight to his face. You can literally see the tiny little blood vessels breaking, all around his eyes and across his nose and down his cheeks. This happens when he coughs, chokes or gags, vomits, gets nervous or highly fearful, which is extremely rare. The extent of petechia is most often profound. I thought it would lessen with age, it has not! I adore Noah! He is a beautiful little boy! Thank you for sharing him with us! in PICU we’ve had a few kids in with Petechia. my heart goes out to you and your wife. you all will be on my prayer list….all of us RN’s in picu are supporting you!! hang in there.. hugs to Noah! Our son Ian is nine, and was diagnosed with ALL when he was 2 1/2. He was so strong it amazed me. 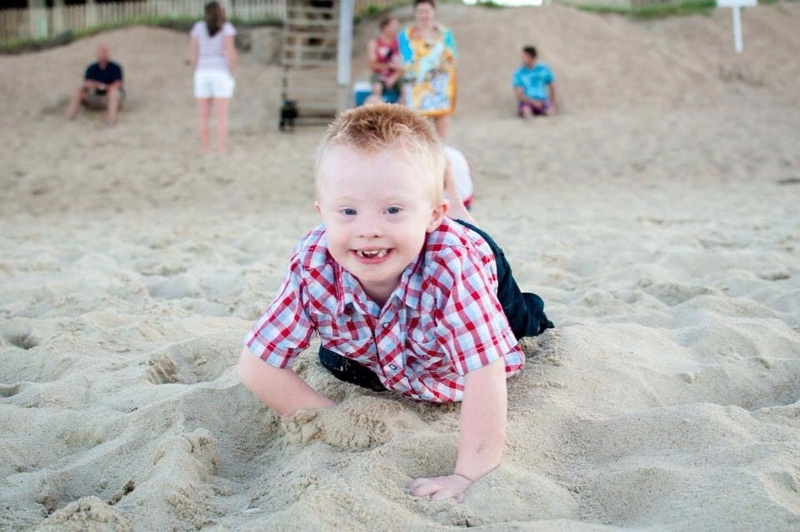 The doctors and nurses used to marvel over the huge smile that he wore almost all the time. He has been in remission for almost four years, and it has only been in the last year that I haven’t gone into a full on panic when he gets a fever. It also took me two years to start calling the pediatrician again, when he would get sick, even though they cleared him after our first year in remission. Thank God for EXTREMELY patient doctors and nurses. I guess the fear will always be in the recesses of my mind –I AM a mom after all– but my heart trusts in His divine healing. I guess we’ve all had our “nuclear” moments, but it’s nice to be reminded we’re not alone. P.S. Ian has a big brother, Christian, who is 12 and also has DS. It is an adventure…roller coaster…awful..crazy…wonderful life! I hate petechia too! My daughter IS a Leukemia (ALL) survivor and I didn’t even KNOW to worry about it before she was diagnosed. 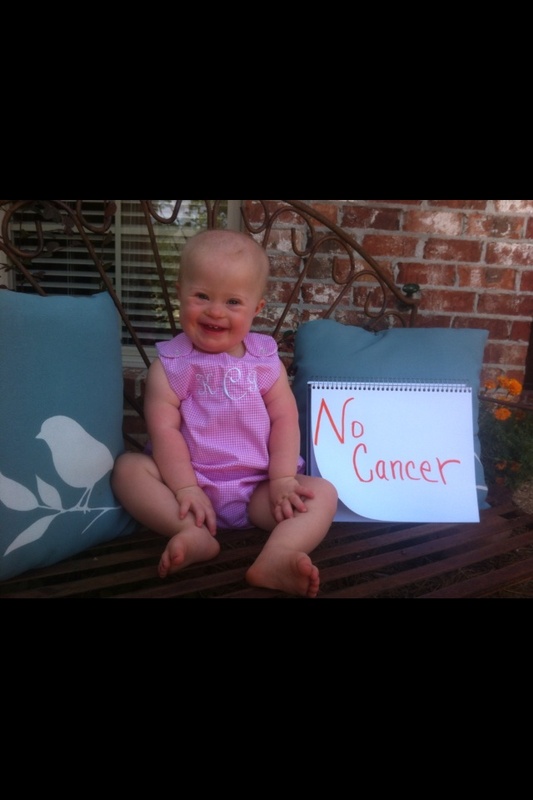 She has had it a few times since too….but she has been off treatment almost 5 years now and doing fantastic! I will never see a bruise or petechia the same way again though….trying always not to live in fear…but sometimes it is hard! 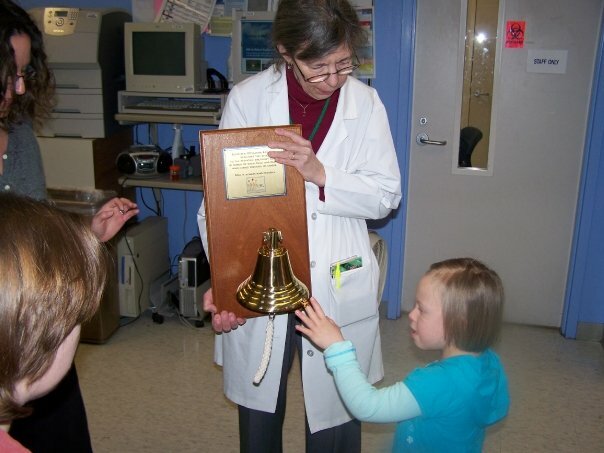 Here is a picture of her ringing her no more chemo bell! I also HATE petechia – my daughter Xanthiah (2) had them recently and it was the cause of sooo much heart-ache. I actually went to the doctor for myself and after my consultation, whilst in the waiting room, I noticed some petechia on her arms. Of course, I was immediately concerned. I headed back over to the receptionist and asked if I could go back into my GP. He saw me straight away and when he saw the petechia he ordered a FBC. I drove Xanthiah straight to town for the test and as soon as they put the tourniquet on her arm, a thousand petechia came through on her arms – super dark blood spots that even bled through the skin – I FREAKED OUT!! By the time I arrived home, my doctor had already consulted with her paed and was on the phone to tell me that her platelets were low (97,000) and so was her WBC – absolutely terrifying. To make matters worse, in one week we were leaving for a six week holiday to the USA (from Australia). Our paed advised us to do a repeat blood test later in the week and if it was unchanged, he felt we should go on our trip with the advice that if she showed any signs of illness whilst we were away, we should seek immediate medical advice and then return home. The second blood test was the same, but it was such a difficult decision to make whether or not to go on our vacation. We have five children and the three boys at school actually went to school on the Friday not knowing whether or not we would be going on our trip when they arrived home. We decided to go on the holiday (with a deathly sick feeling in our bellys, but for the sake of our other kids) and our paed rang us on the Sunday morning on the way to Sydney to let us know that a specialist haematologist believed her results looked post-viral). This was a tiny bit of hope for us! Xanthiah had had Hand Foot and Mouth diseased (very badly) just a month before. In the US, Xanthiah was her happy usual self and continued to thrive, but I was checking her body almost hourly (like a crazy woman)!! lol I actually nearly vomited in Disneyland when the dark blue ink off one of their bags transferred onto my hands and then onto her skin – I saw these marks all over her arms and instant panic and sickness kicked in until I realised what had happened. I was a mess!!!. But after a couple of days, her finger nails started falling off – good news huh?? That was reassuring to me that it was the HFM and I tried to relax a little and trust in God, and in how her health and behaviour was. Long story short, we enjoyed our holiday, without incident and on returning home had a repeat blood test which was normal!!! Praise to God. Sorry about my long story, but it is comforting to know that viruses can also cause petechia!! Hi my son woke up with petechia on his cheek. 5 hours later he was diagnosed with acute lymphoblastic leukaemia. He was 20 months old. We had 2.5 years of the most awful chemo, septicaemia and multiple stays in intensive care , but we are now nearly 3 years in remission and Harry has just turned 8 and attends main stream school, loves the wiggles and all things toy story and is flying!!! Are there any other symptoms that go along with the petechia to look out for? My son Sam is 6 and was born with Ds. He was diagnosed with Leukemia when he was 2, and is just beginning his journey with a relapse. He has never had those little scary little red dots. Not once, even while on treatment. I temember learning that he was at a higher risk for Leukemia in those first weeks after he was born. It scared the pants off of me. The thought of my perfect little boy getting cancer was my biggest fear. There were many nights that I would be holding my little guy, rocking him down to sleep, chest to chest, and the hot tears of fear would just roll down my cheeks. He was so healthy at birth and he was thriving. When he got sick it seemed to come out of nowhere. His relapse came just 6 months off treatment. It presented in an extremely rare way. So rare that it took 4 visits to a Pediatrition, 2 visits to his oncologist, 1 visit to our family doctor and a visit to an eye doctor to even recognize there was a problem. His CBC was clean throughout. My husband and I just kept pushing because my mommy instincts were telling me to keep looking answers. Remember fellow parents, even though our children are at a higher risk, it is still a very rare thing. I was just reading the comments on the red spots and am a little concerned because I see them on my son’s back and chest. He just recently had bloodwork done so I guess he’s ok. I have worried excessively about him since day one (he’s 33 now). I panic at every little thing. Thank you for sharing, I hate Petechia. I hate it as well. My 3 year old does not have Downs had it for the first time in December and I Googled it and was worried but trying not to…then we had a new pediatrician send us immediately to the hospital and have us run the blood tests and told us to wait by the phone in case we needed to go to the university hospital. It was a nerve wracking night. All the tests came back fine in this case. Then a few weeks ago she again appeared with Petechia and I was a bit less concerned as it was limited to her face and after reading a few sites realized some children just get it? I called the nurse and she said after getting it it takes some time for the blood vessels to heal and my daughter is susceptible to it for a while. But then when I last met with our doctor she said as long as it’s on the face I shouldn’t worry much about it. So from what I can tell, some kids are prone to get it? In our case the first time my daughter had a cold and was upset and probably crying and coughing at the same time so it was all over her face, she was at daycare so it’s hard for me to know. The 2nd time it was limited to her eye area like a raccoon but again she said she was upset. Thank you for educating me. I’d never heard of this. I completely understand your concerns. I’m a hypochondria and fight worry all the time about my kids or myself at every little symptom. Just wanted to share that several years ago in my work as a freelance writer/video producer I did a story on a little boy who had Down’s, the contracted leukemia, and then had to have an emergency appendectomy in the middle of his treatment. Yet he was perfectly fine and had recovered completely. I remember the dr. talking about the increased risk but that once he had leukemia, there was no chance he would ever get it again. That story of resilience inspires me to this day! We are using a Targeted Nutritional Intervention with Etel (now, age 6) since age 8 months. Look into EGCG – it not only treats, but can prevent leukaemia as well as having other benefits (DYRK protein suppression, GABA antagonist along the lines of Ginkgo Biloba). I also give her B12, Folate (not folic acid) and TMG to keep her MCV mean cell volume number nice and low. High number is a prerequisite to getting leukaemia and I just like to be on the safe side. 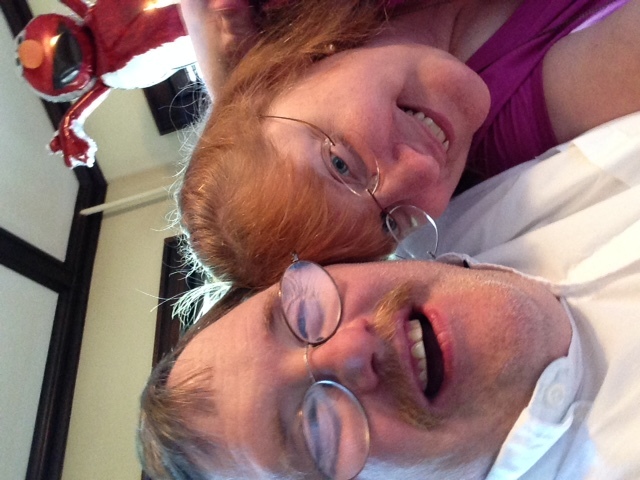 Anyone who wants to learn more can Friend me on Facebook (Liorap2) or join The Down Syndrome Action Plan. Sharing it on Affimity.com Parenting section! I just came across this cause I’ve found a few spots on my son (almost 3) over the past few mths. I worry like crazy. He’s got a few now & hasn’t even been sick. I’ve spoken to his dr several times, but she doesn’t seem too concerned. I’m plagued w/ worry & I’m not sure what to do. I’d just like to know he’s okay. 52 years ago when our Dan was born we had no idea about things like this. Keeping a Downs child at home was still relatively uncharted territory. I’m so glad that our generation of kids were able to add to the knowledge and understanding of Downs. Our Dan is still going strong, two open heart surgeries for VSD and more bouts of pneumonia than I care for but he’s a great little guy! When my son was 8 he got it along with blood blisters in his mouth came on suddenly after being sick and on an antibiotic of course my mind went immediately to leukemia he just so happened to have a doctor appointment thAt same day which was in the afternoon by the time we got to his appointment he had bruises everywhere anyone touched him I thought for sure they were going to think I had abused him! As soon as the Dr saw him he said I don’t need to see him get him to Children’s ASAP! Of course I was scared to death and immediately took him he did not appear to be feeling bad as a matter a fact he was quite energetic doctors came him and saw him running around the room and were “no” don’t let him fall!! They assured me he did not have luekemia but had what they Called ITP (very long medical term that I can’t pronounce) they said it was caused by the augmentin he had just finished taking and that he probably wouldn’t ever get it again or there was a small chance he could anytime after being sick and taking augmentin. He was admitted to the hospital and given gamma globulin and a helmet to wear for several months and had to have blood tests every week until his numbers back to normal. Scary time for sure!! He is now 24 and has never had that issue again he’s had smaller amount of dots but nothing significant. He’s a pro at giving blood for blood tests between all of the ones he had for that and also being a diabetic! Thank you for information about Petechia. My youngest, Camden, was born with Transientmylopoesis and had to have treatments in the NICU. It was touch and go for the first 4 months of his life. Thankfully with amazing doctors, nurses, staff, and a whole lot of prayer he is doing great. Camden still goes to see his hematologist every 3 months for blood count. Camden will be 2 next month and his blood counts are never the same. Needlesz to say my son likes to keep things interesting. I dont worry about what might be. I dont stress about what if’s. I take life one day at a time and follow the path God lays out for me. If leukemia decides to knock on our door we will take that challenge on. 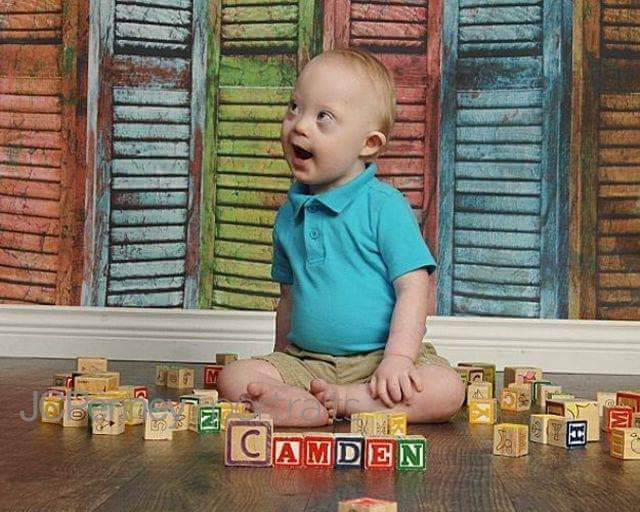 But stressing, worrying, being anxious will only take away all the joy that Camden brings us. Anyway what I meant to say is thank you. Petechia isnt talked about much. I appreciate you bringing it up to help educate new parents. Meant to leave a picture of Camden. Here he is at 1 1/2. I read that Noah would be getting PE Tubes and another adenoidectomy. My 13 month old just had PE tube replacement and adenoidectomy. My only suggestion, is that you do not allow him to have a narcotic pain killer when he is done. My son did not respond well at ALL to it and tylenol would have sufficed. You are in our prayers! Every time my now 12-year-old son with Ds gets petechia my heart skips a beat, for a moment. We’ve seen the doc several times for it over the years, but lately only for the more extensive bouts that come without any other sympthomology. They run his bloodwork — and usually his identical twin’s blood work as well (who, being genetically identical has Ds and is equally prone, and exposed to the same genetic and environmental factors that could cause petechia) — and everything looks normal. Still, every time it happens my mind wanders to the what its and I go to Google, to the reputable medical sites that tell the whole story and to those sites that assuage my underlying fears, like yours. This post has become one of my Go To readings every time one of those damn petechia spots shows up. I read the facts and posts like yours, and, like a balm, my worries subside and I take the necessary medical steps to ensure my precious sons’ good health is in tact. Thanks for being part of my calming process.